From our London base, our experienced and thorough packing team prepare well in excess of 2,500 fruit boxes per week. We have a number of vans that deliver fruit boxes, snack boxes and beautiful seasonal flowers to businesses across London and the South East. We also arrange cost-effective office milk deliveries, as well as other goods like tea, coffee and sugar for your office. To place an order or to get a price for your specific workplace requirements, please use our online order form or give us a call on 0333 358 3310. Cannot see your location? Check our other delivery areas for further information. Deliveries in London are possible on a daily basis, Monday to Friday. We have vans on the road from 3am so if your building has early access and you want the fruit to be waiting for your employees, no problem. Deliveries to the remainder of the South East occur on Mondays and Wednesdays. We also work with trusted partners to get tea, coffee, flowers and other items to your door when it’s convenient for you. Here at Officedrop, we pride ourselves on our highly personal and friendly service, which is enjoyed by our many hundreds of happy and loyal clients. Call us on 0333 358 3310 for further information about how our office delivery services in London and the South East can benefit your company. Fruit Facts! The amount of bananas we include in our boxes each year laid end to end would go around the 26.2 mile London Marathon course over six times. 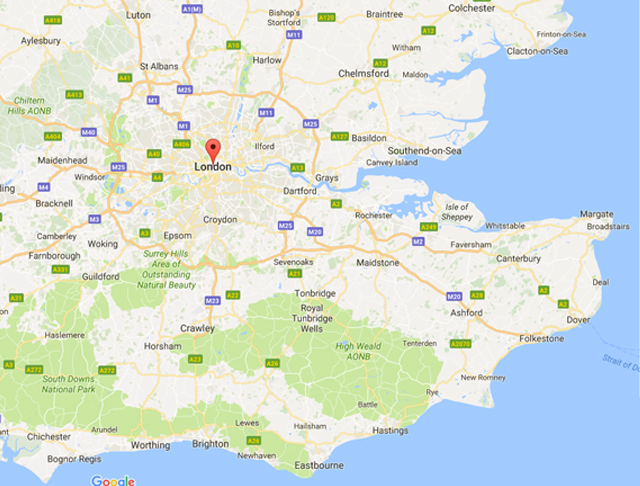 Multiple UK bases offering largely nationwide coverage with the largest in London.